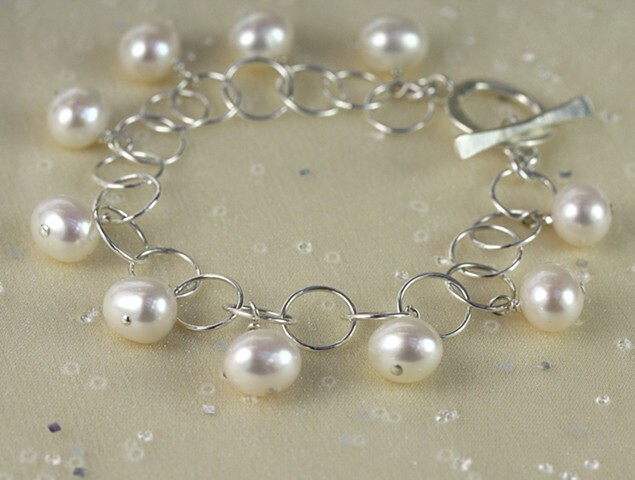 Shimmery fresh water pearl charms on sterling circle chain with fine silver toggle clasp. Wonderful bracelet for special occasions or everyday. One of my best selling classics! Approx 7 3/4"